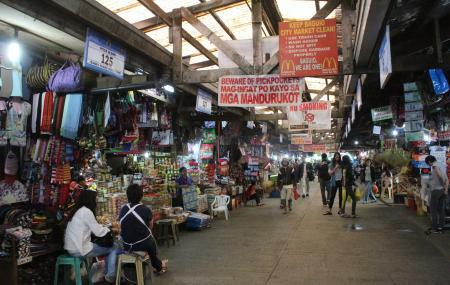 In Baguio City Market, you can find almost everything; from vegetables to meat products, and even household products. The market is abuzz with activity throughout the day and the produce that is brought here is the freshest in town. The market is very well maintained and people are mostly friendly and well versed in English. Don't forget to purchase a bottle of fresh honey that could make for a good gift for your loved ones back home. At the upper part of the market are small food stores serving delicious and inexpensive native as well as a few Chinese dishes. How popular is Baguio City Market? People normally club together Session Road and Burnham Park while planning their visit to Baguio City Market. If you haven't got time to visit Good Shepherd, you may want to check out stalls here. I found a stall here that sells Good Shepherd's products at wholesale prices. Fresh vegetables and coffee grounds made from Benguet and other specialty coffees are available here. Place is too crowded during weekends so best to go there during regular days. If you want to buy vegetables in bulk, best to buy at the wholesale section rather than the main market. It's just a few steps away. You can also buy organic produce there. First of all, there's no parking. Therefore it is very hard if you have a car with you. Hence, the selection in this market is so amazing. It's vegetables are almost all classes available in the country and they're all fresh. If you love good coffee, you can't go wrong with Garcia's Pure Coffee. The public market is also the best place to get fresh produce. This market is pretty darn cool. We got some amazing stuff for really low prices and I love the food the vendors are selling. Lots of fun to hang out here.